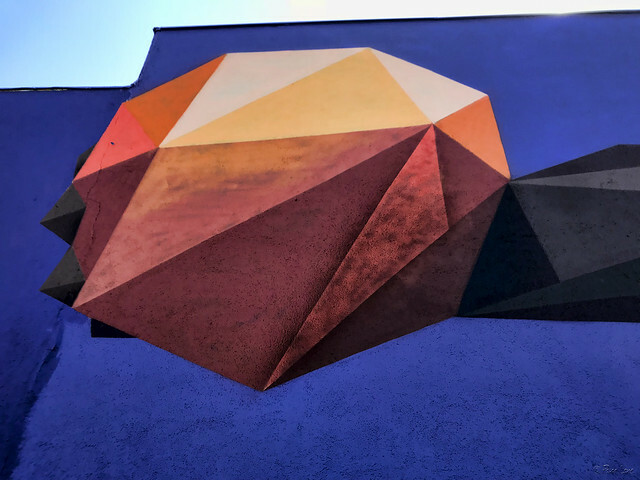 There's an eye-catching mural on Firestone Blvd. now. An athlete, his body only partially visible, holds a basketball in the palm of his hand. Since this basketball fills much of the building's wall, it certainly grabs your attention. This building has long been dedicated to sports. For many years, it was the home of Russell's Bike Shop. Now, it's home to Shoe Palace, which sells sports shoes. Josh welcomed us into the store. 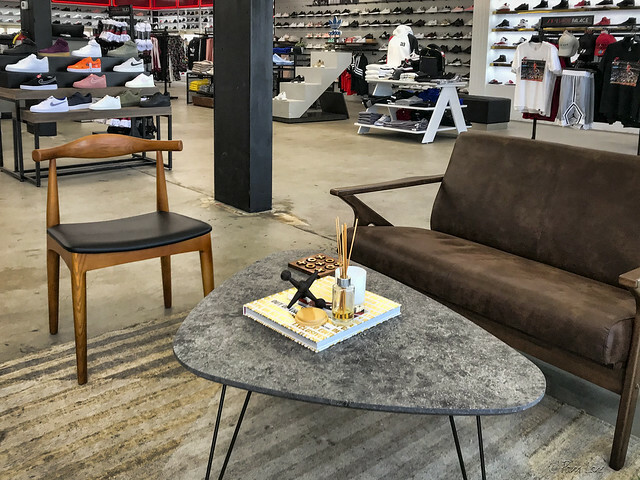 And so did the cozy sitting area just inside, where you can relax and rest your weary feet while you try on some new shoes.